Muda is a Japanese word that means waste. It has deeper meaning in that it refers to any activity that does not add value. In IT and the office we have many processes for getting work done. Each of these processes are subject to muda. In tough economic times like these we need to look at every area we can save money. Since time is money, wasted time is wasted money. By eliminating muda from the workplace we can save money and become more productive. 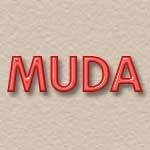 Muda is often used in conjunction with Kaizen, a 5S System and Lean processes. While developed for a production environment, we can easily translate these practices into the IT and office environment. Over the next series of articles we will look at each muda and see how it translates to IT and the office environment. You will see how you can implement simple measures to reduce waste, save money and increase productivity.